These very creative two days are designed for improvers but beginners can join too with a bit of advice from me before hand. You will need to make your cutline, the working drawing, before you come so I will advise how to do that for beginners. On day one we will finalise our cutline, cut the fusible glass and add detail using frits (glass grains) and powders. We should also have time to cut the stained glass too. The glass will be fired overnight ready for day two. 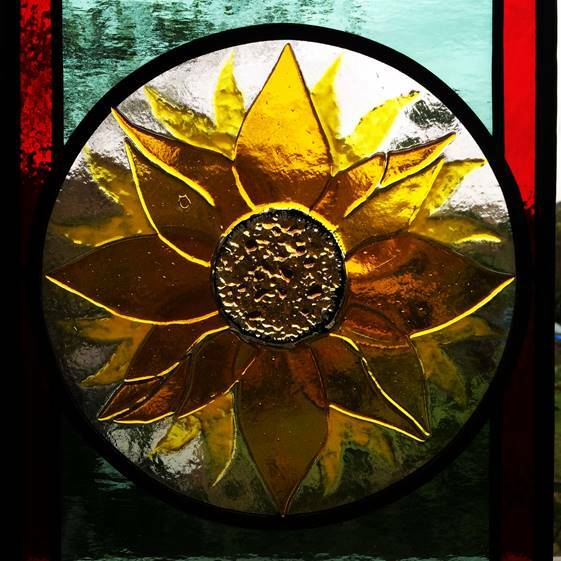 Combining stained glass and fused glass really makes your panels come to life and adds details that you cannot get any other way. On day two you will lead the panel together, solder and hopefully we will have time for you to cement the panel so you take it home that day. 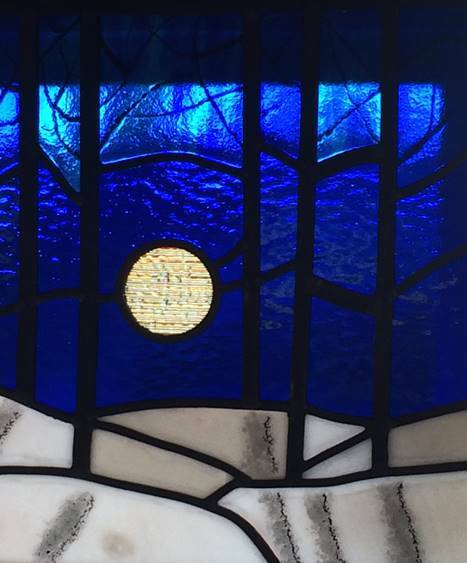 These are some of my favourite courses as it is such a fun way of adding detail to stained glass. 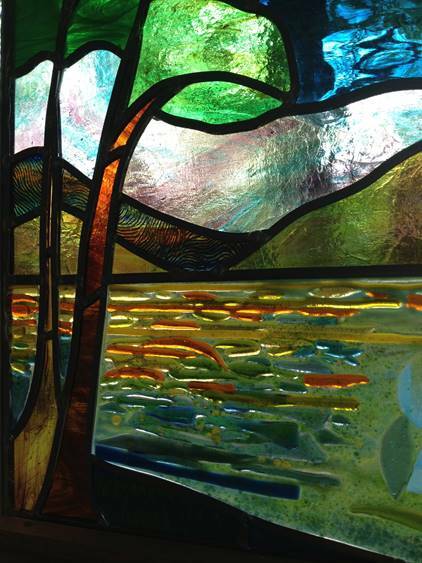 The finished panels are exceptional works of glass art.